We are a leader in safety and security with a team dedicated to providing safe environments and who exemplify integrity, trust & respect. Our staff is hired based on character, ability and experience. We provide concierge services that extend beyond basic facility and event security. While providing tenant safety, our officers meticulously monitor traffic in and out of buildings. Officers are also equipped to deal with complaints, provide emergency assistance and handle a range of related security functions. All our officers are selected to have superior communication, comprehension, and problem solving skills. Our officers have professional and impeccable overall presentation which reflects positively on our clients, the functions they perform and our organization. Our officers are trained and experienced in providing a safe and comfortable environment in commercial settings. With a culture based on service our staff is trained to properly respond to any situation they may face in retail areas such as Fire Alarms, Emergencies and inclement weather, among many others. Our staff is fully certified through the North Carolina Private Protective Services Board (NCPPSB) and undergo a minimum 6 week training process. We provide traffic control and direction services for special events, school crossings and other special activities or daily operations. 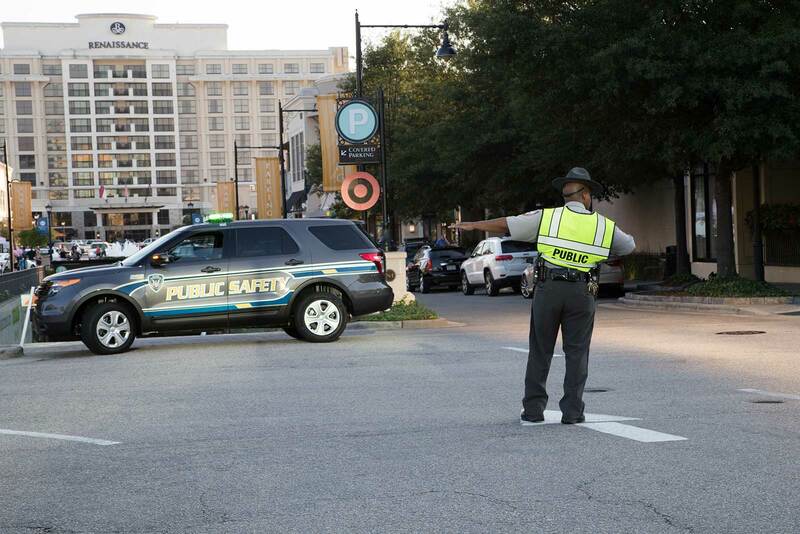 Our officers are trained and experienced in traffic control and direction techniques and equipped with all required and necessary tools and equipment. We have an exceptional track record providing services to residential communities. We provide vehicle, bike or foot patrols to apartment communities, HOAs, condominiums and single family dwellings. We have Certified Community Officers accredited through a Law Enforcement program and trained in the latest techniques and topics regarding Community Policing. 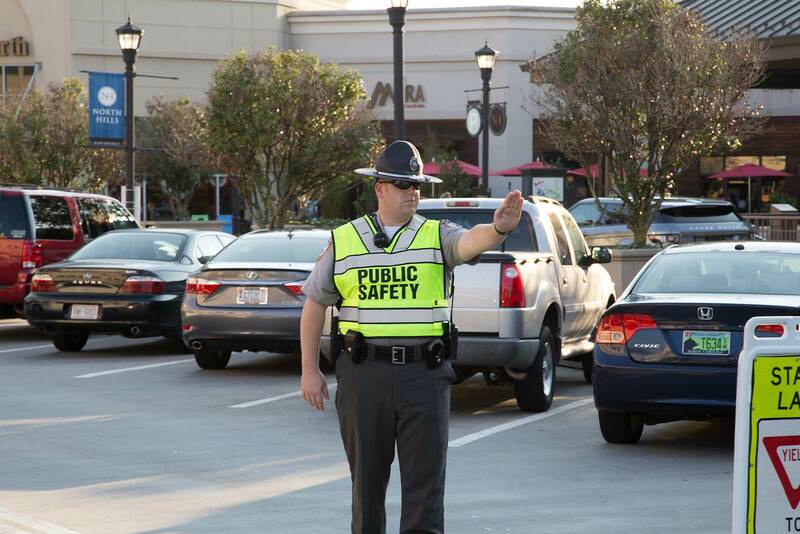 Our mobile patrol officers will provide security inspections of your property per your request. We execute with excellence in all that we do, offering unique and distinctive solutions that lead to industry innovations.